Mind Over Matter invites you to work with New York City's finest fitness professionals. We are the premier in-home training fitness experts in New York City and are able to work with clients outdoors or within your residency with children-in-tow. We will design a fitness plan to meet your individual lifestyle and goals. Our dedicated training experts will inspire you through motivation and guidance. By understanding the mindset and obstacles that face busy people, our team is prepared to adjust to your schedule and environment with the concentration on prenatal and postpartum fitness. For those interested in the outdoors we go anywhere from a nearby park to surfing the beaches of the Atlantic and Pacific to the Rocky Mountains. Whatever your fitness goals are we will help you realize your dreams. It’s all about you and mind over matter! "Your self-image and habits go hand in hand; change one and you will automatically change the other." – Josh Margolis; owner of MOM, has been working in the health and fitness arena for over 10 years designing personalized fitness programs which incorporate motivational techniques to enhance performance. Joshua has a Bachelors Degree in Sports Psychology. He holds certifications from A.C.E., N.A.S.M, and is also prenatal and postpartum certified. 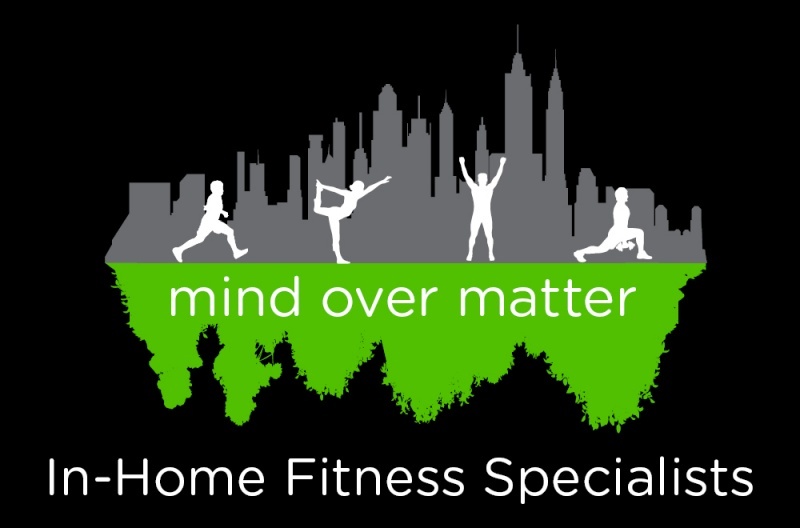 Mind Over Matter is an in-home fitness service catering to the busy New York lifestyle. MOM trainers can turn any space, including your home, into your own private health club, complete with masseuse. Our mission is to provide our clients with instructors who have disciplines in personal training, yoga, Pilates, dance, boot camps, and more. We have a concentration in prenatal and postpartum fitness and welcome you with kids-in-tow. If there is a specific discipline you want, we will match you with a trainer to suit your desires.